Go back in time in the pursuit of Richard I 'the Lion-Heart' and the Lords of Beynac by choosing the guided tour! from 10am till 12pm, and from 2pm till 6.30pm. 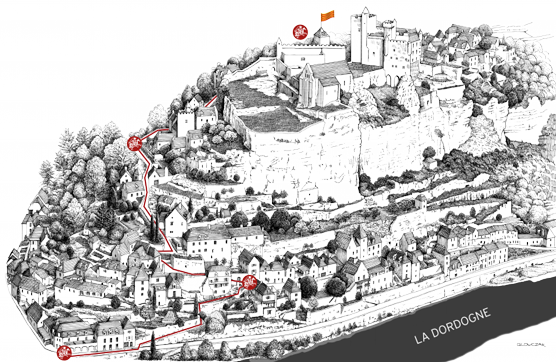 All day long without interruption, discover the Medieval fortress of Beynac at your very own pace with the help of a document which will be handed to you in your language at the main entrance. 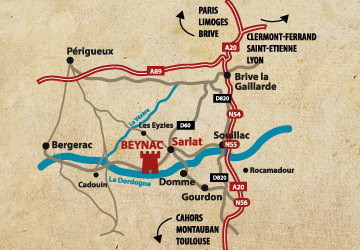 Enjoy your visit of Beynac, the most authentic and emblematic Fortress of the Périgord! The Fortress of Beynac is a favourite destination for school trips and families in the Dordogne ! For young visitors, a games booklet has been designed. Download the games booklet in French. Willing to make a film at the castle ?